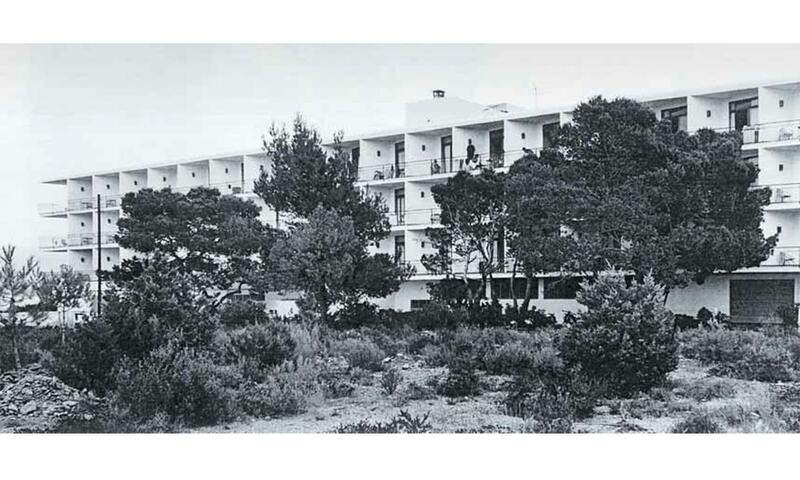 The big tourist boom that Eivissa experienced in the 1960s brought with it the construction, on the island’s coastline, of a series of hotels capable of accommodating the avalanche of people who arrived from all over the world to this spot in the Mediterranean. 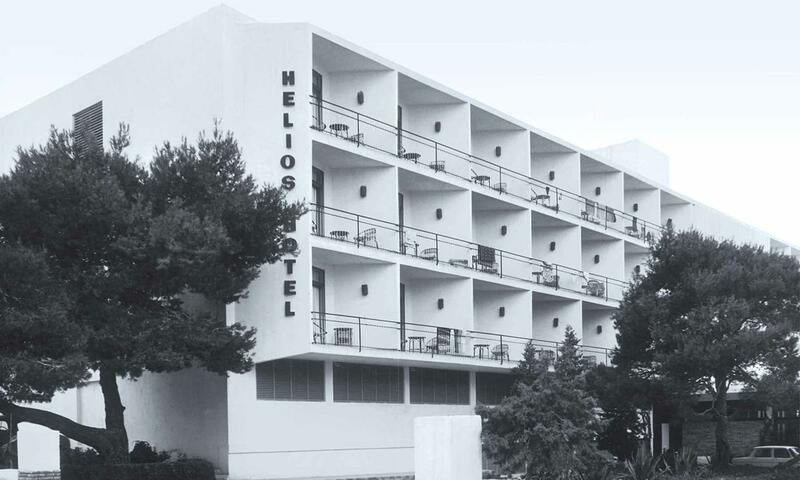 Most of the hotels tried to incorporate the pragmatic language of rationalism and at the same time follow the simple and angular guidelines of Eivissa architecture. 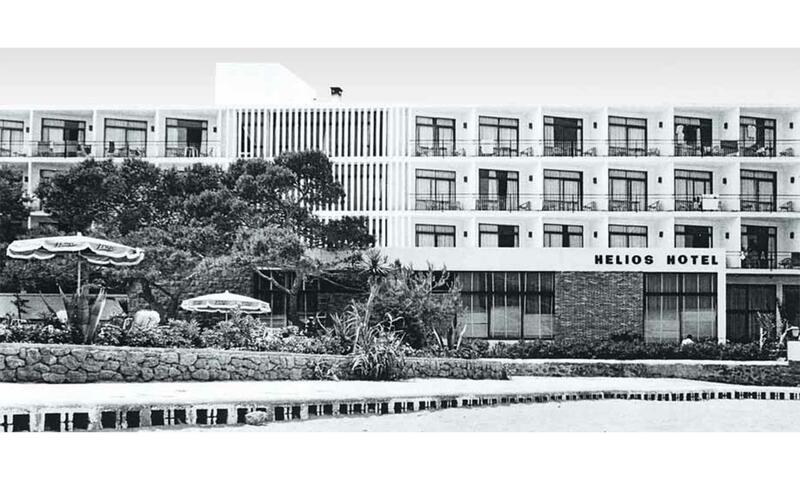 Few architects, however, managed to do so in the way that Josep Ribas González, with the collaboration of J. Anglada and D. Gelabert, did to the Helios Hotel, in Sant Antoni de Portmany, at the time one of the most secluded bays on the east of the island. 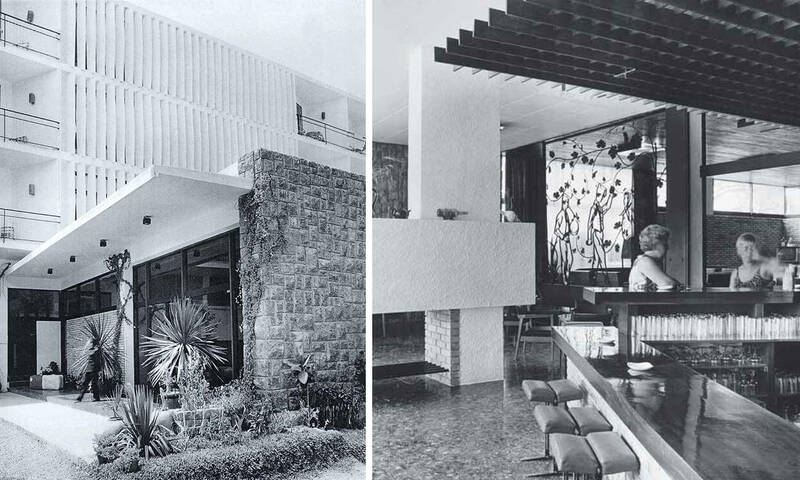 rooms from side to side, open through terraces to the sea or the small wood that surrounds the building–, a large vestibule with porch closed with exposed stonework on the ground floor –which houses lounges and dining rooms with views of the pool and the sea–, and the vertical circulations located in the centre of the property, which cross it and are hidden from the exterior by some vertical brisesoleils. 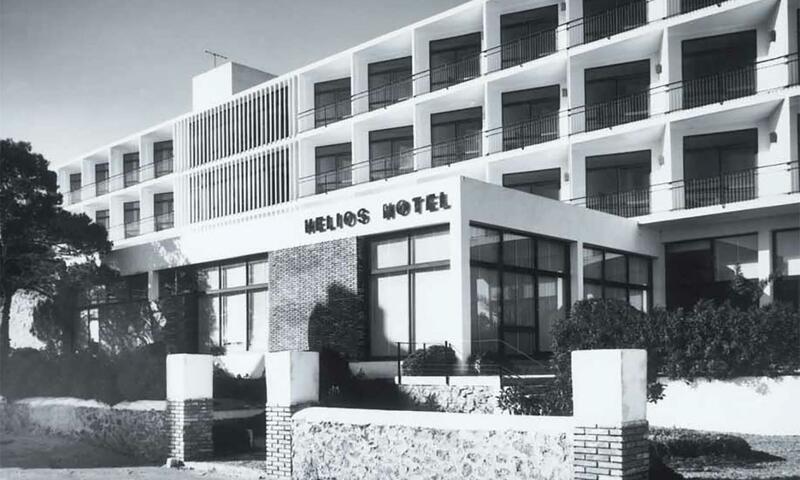 All these traits have meant that the hotel has not lost its original personality, despite the different interventions made on the building over time.